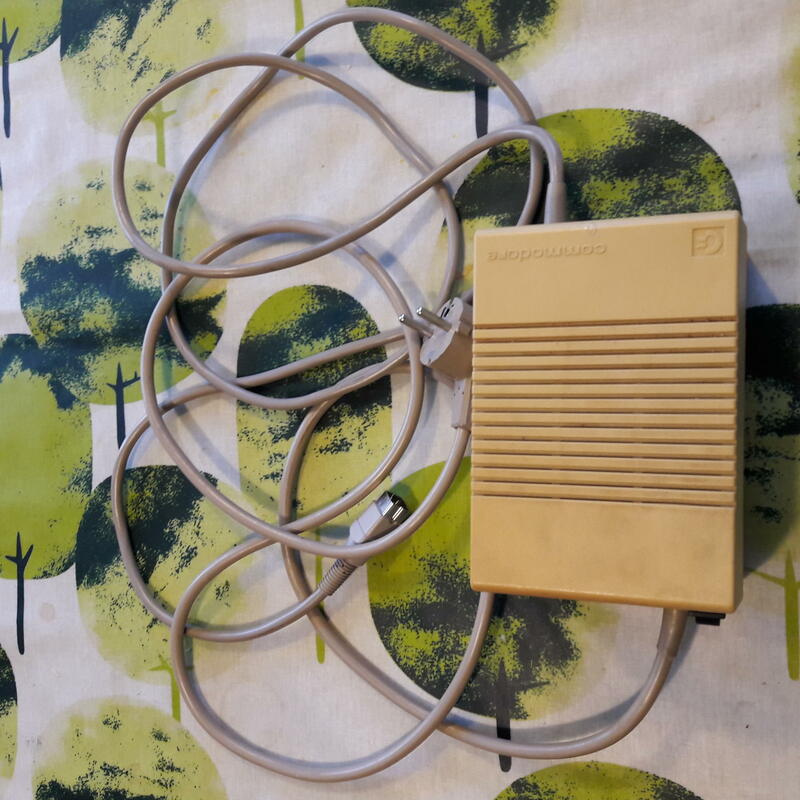 My last post – quite a while ago already – was about building a new power supply for Amiga 500. In the comments I was contacted by an Amiga owner (or now former Amiga owner) who wanted to donate his Amiga 500 with a broken power supply. Thanks Johan for the donation! Apparently the power supply had let go of the magic smoke and was not functional anymore. It was a nice machine with 0.5 MB slow RAM installed, running Kickstart 1.2. 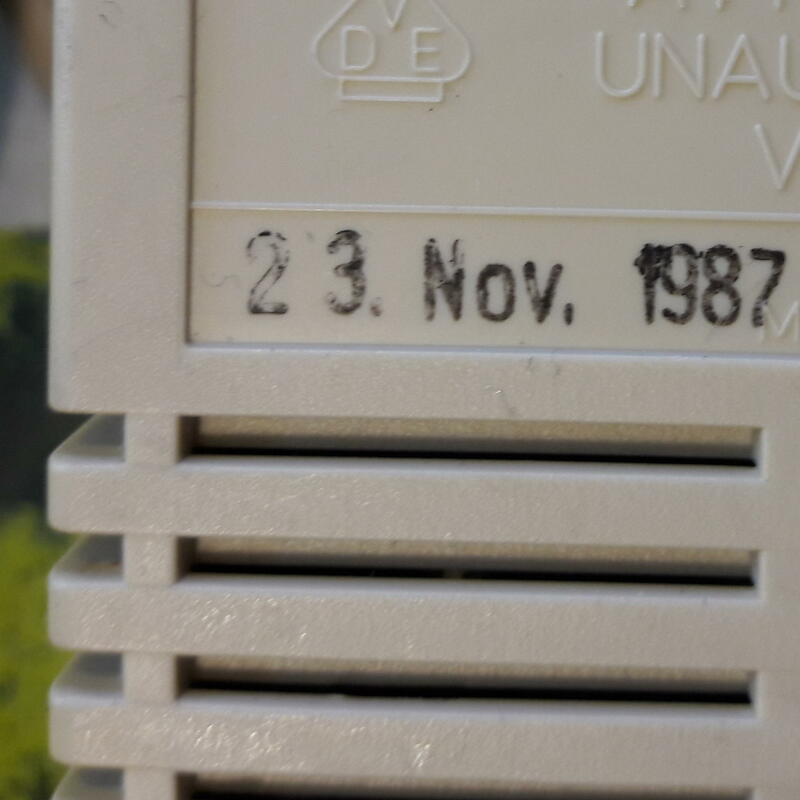 I didn’t open the machine, but the date stamp on the power supply suggested manufacturing year of 1987. Probably this is rev 3 motherboard, similar to my other Amiga 500. In order to get this Amiga back to life, I had three options: fix the power supply, build a new power supply, or buy a new power supply. Yes, new power supplies for Amiga 500 are manufactured again by Electroware! As I had already built a power supply and there’s no fun in buying a new one, I decided to repair this one. Working with AC can be lethally dangerous. If you don’t know what you are doing or feel hesitant about working with AC, don’t do it! Depending on your local regulations, repairs like this may be allowed for licensed electricians only! Check your local regulations first before doing things like this! 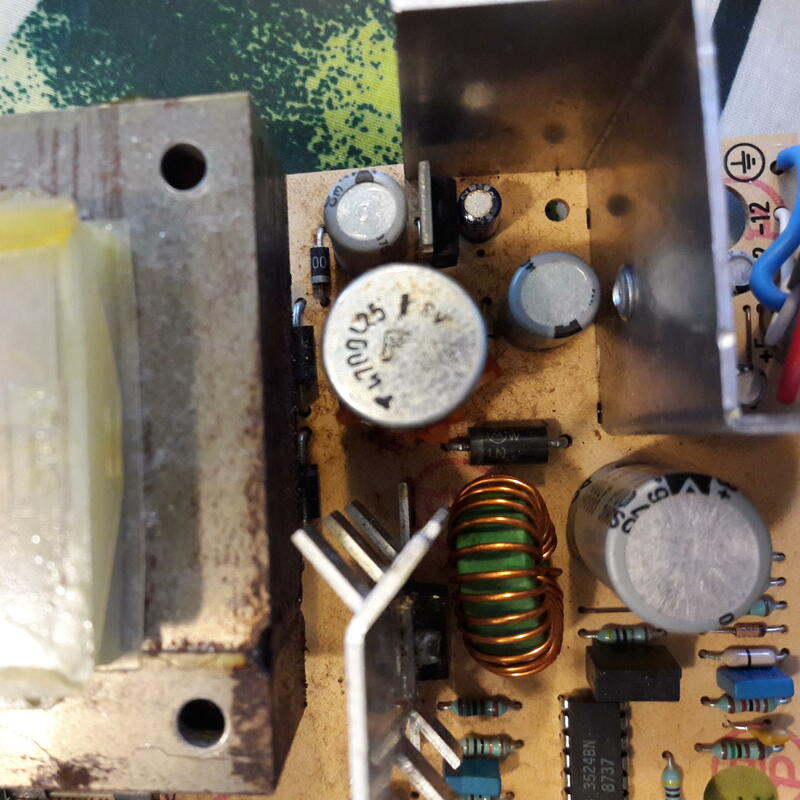 The previous owner had suspected that capacitors had gone bad, and that was exactly the case with this, it was immediately obvious after opening the power supply. No wonder, this was already over 30 years old, built on 23rd of November in 1987 based on the stamp in the bottom. 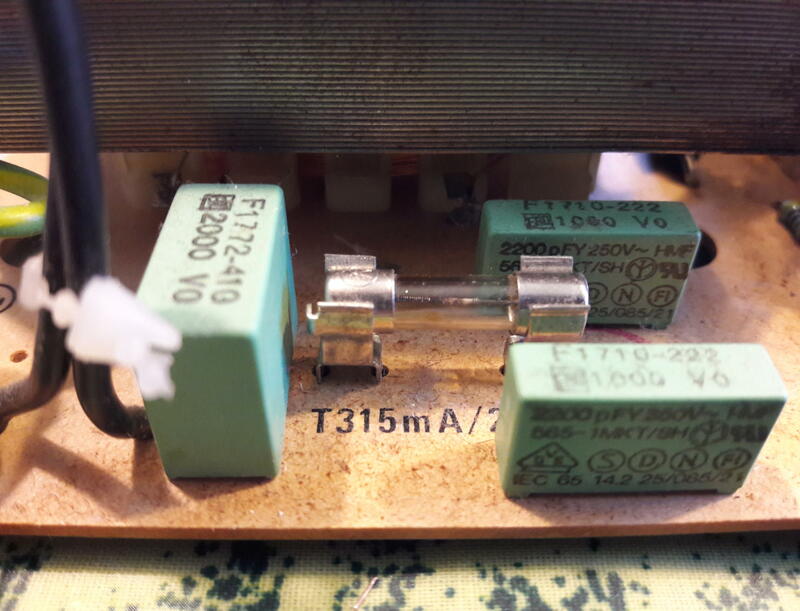 There was electrolyte residue all over the PCB, and the biggest capacitor had melted (or degraded) plastic around it. Also the glass fuse was blown. I didn’t even try to replace the fuse and try what would happen, but went to order new parts straight away. I won’t list the parts here, because there are differences between Amiga power supplies, and if you want to repair your power supply, you will have to check the correct values for each capacitor from the old components. The values describing the capacitors are capacitance and maximum voltage rating. In the capacitors of these power supplies, capacitance is typically in hundreds or thousands of μF, and maximum voltage rating from few volts to tens of volts. These values should match the old capacitors exactly. Also maximum operating temperature is usually listed, this can be also larger value than in the old capacitors. The values on the biggest capacitor were somewhat illegible, but I guessed 4700 μF / 25 V based on the markings. 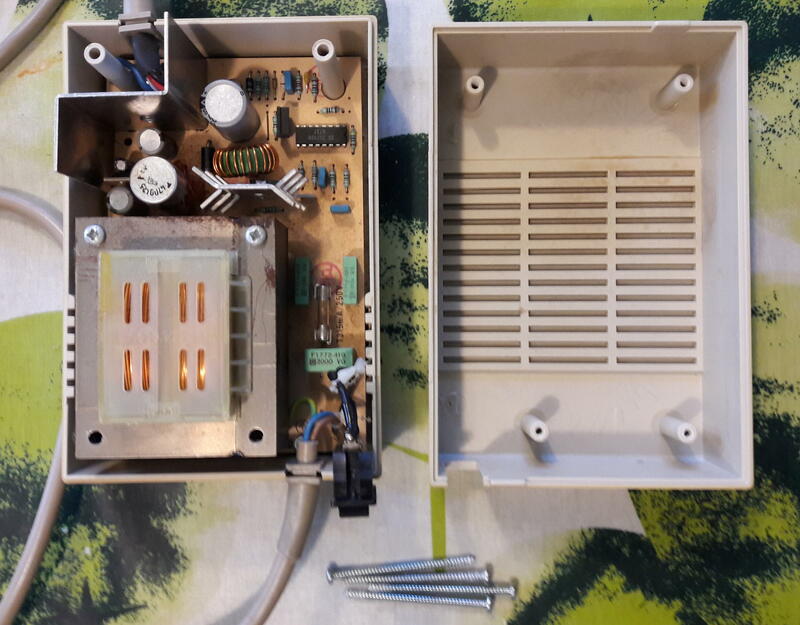 I double-checked this from another Amiga 500 power supply; although some capacitors had different values, this one was the same so I concluded that I have the correct values. The new parts were less than 10 €, the biggest capacitor being the most expensive at around 3 euros. I’ve seen some posts online where people remove all capacitors, inspect them and replace only those that are bad with new ones, but I don’t see any point in doing that. 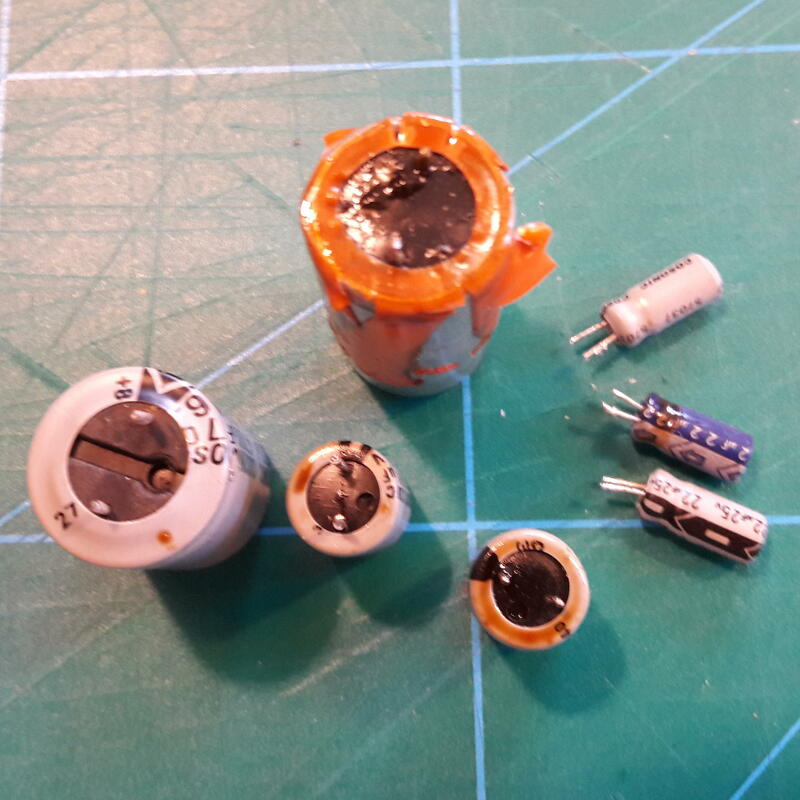 Capacitors are so cheap that it makes sense to replace all of them if you remove them anyway. If the components are this old, those that are still working may not work for very long. Some of the capacitors were in quite tight space, so in order to make assembly easier, I decided to first remove all existing capacitors and then solder the new ones in place. For this I needed to document the placement and orientation of the capacitors with a camera to make sure I install everything back correctly. 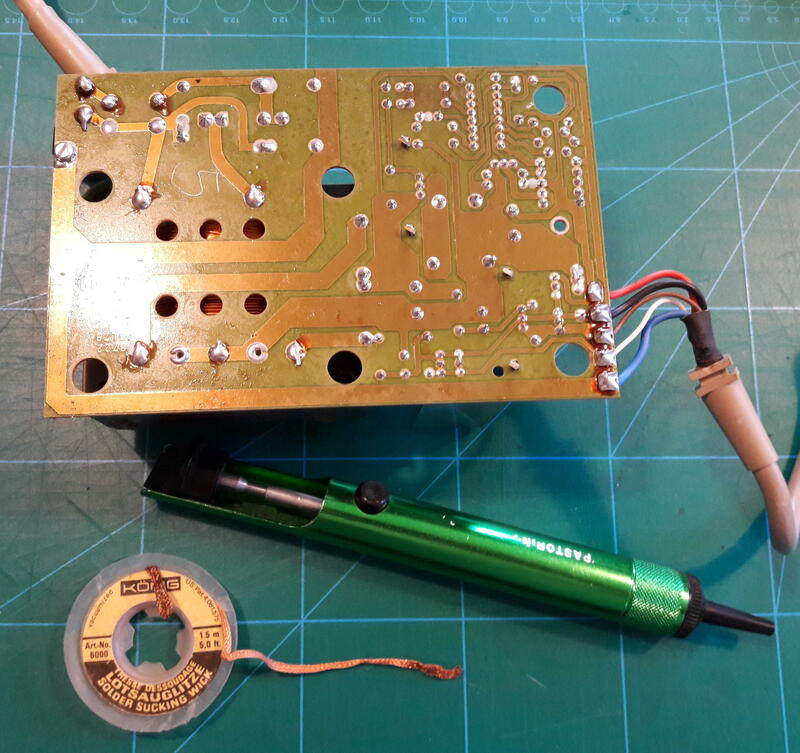 For disassembly, desoldering pump is an essential tool. For removing the last bits of the solder residue, I used also desoldering braid. After disassembly it was obvious why the power supply was bad: all big capacitors (and also some of the smaller ones) had leaked more or less. It didn’t look this bad before removing them, most of the leaked electrolyte was hidden below the capacitors. 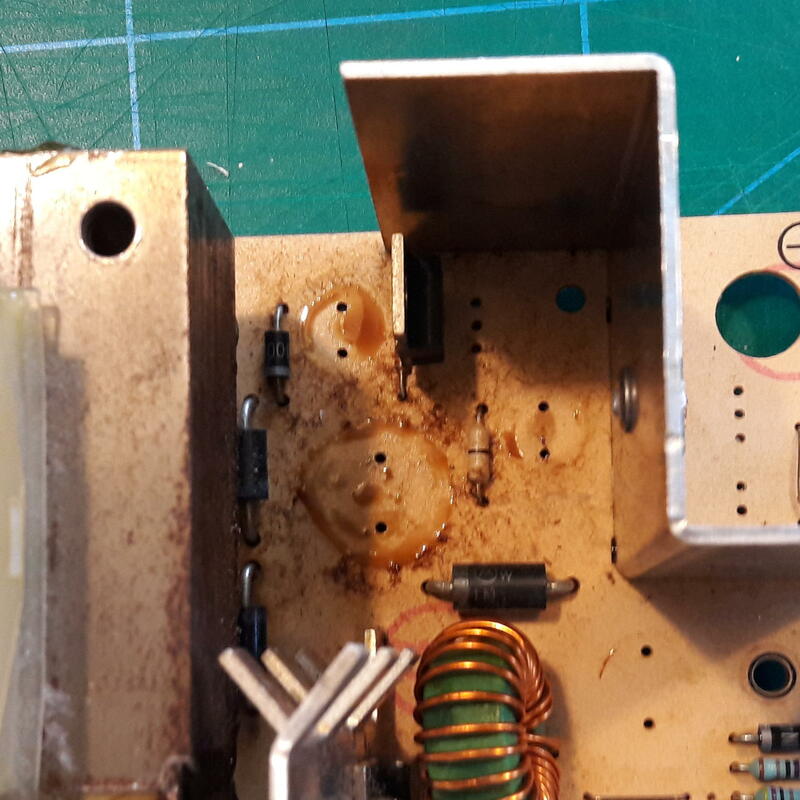 After removing the capacitors I cleaned the PCB with isopropyl alcohol: if some of the new capacitors starts to leak, it will be difficult to notice the leak if there is still old electrolyte on the PCB. I did the installation of the new capacitors by starting from the ones that were most difficult to access. For each capacitor, I double-checked from the old capacitor that it had the correct values, and then checked the correct placement and orientation from the photos I had taken earlier. Soldering the new capacitors in place of the old ones was quick, and soon I had a power supply that looked good as new! The last thing to do was replacing the glass fuse with a new one. The correct rating for the fuse is printed on the PCB. Then I did the final inspection that everything was correctly installed and re-assembled the enclosure. Before daring to test the power supply with the Amiga, I checked the power connector with a multimeter. The pin order can be found from Ian Stedman’s page. I got +5.2V, +11.8V and -16.8V for +5V, +12V and -12V connectors. -16.8V seems dubious, but as there’s no load connected to the PSU, these values can be off from the actual values under the load. 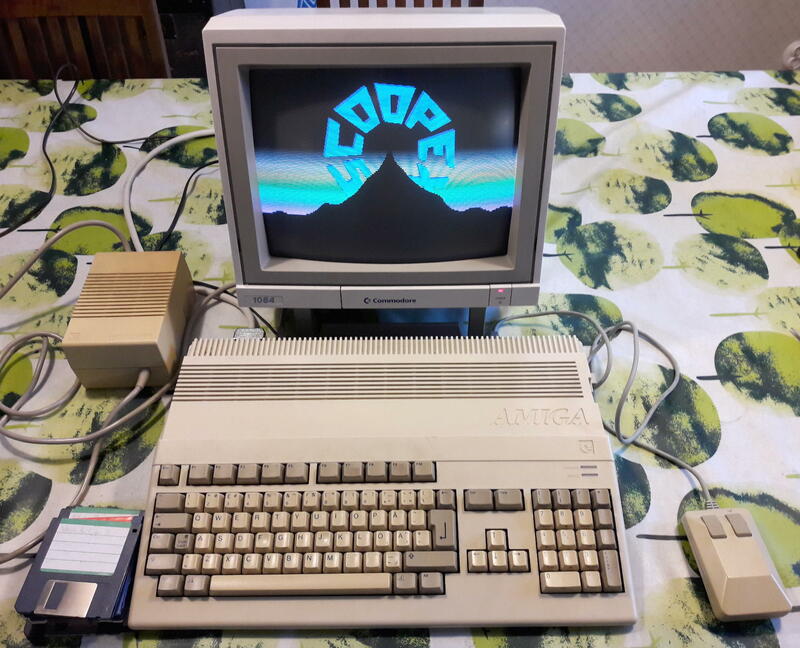 At least the magnitude was correct and there was power on all pins, so I connected the Amiga to a monitor and the PSU and switched everything on. And yes, the familiar kickstart boot image appeared! Next it was time to test the power supply under some stress. I dug up some old disks with demos on them, starting with “Mental Hangover” by Scoopex. (Greetings to Reward!) It worked flawlessly, so for an hour or so I watched old demos with nostalgic feelings. The temperature of the PSU had been rising under stress, so when I found a nice demo that would loop back to the start at the end (“In the kitchen” by Anarchy), I left it running for a few hours until the temperature of the PSU settled to a constant level. This was at 58°C when measured outside from the top of the enclosure. According to the Amiga 500 PSU specification “maximum case temperature shall be 60°C during normal operation”. After stopping the stress test, I re-opened the power supply and measured temperatures inside. The highest temperature was 78°C, at the side of the transformer. 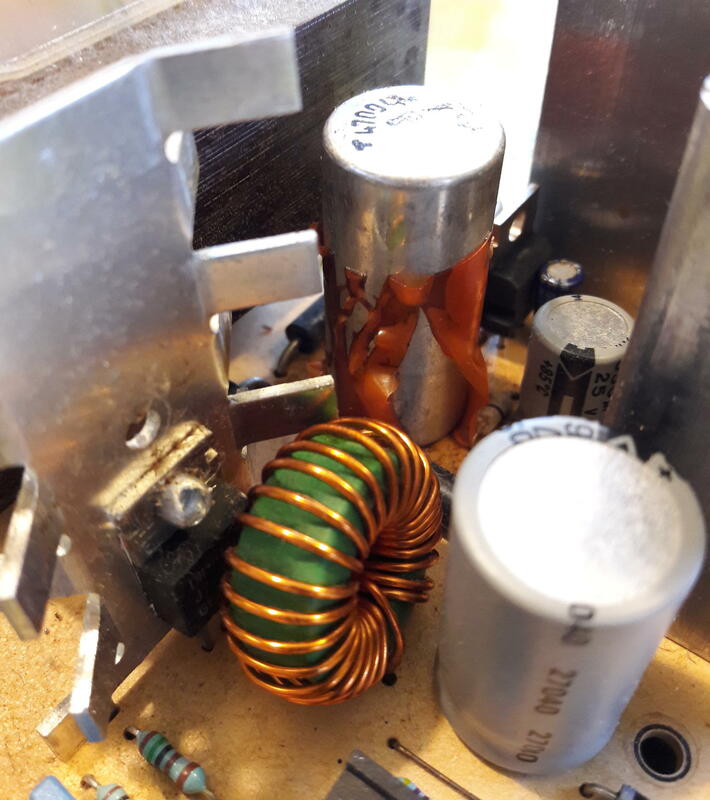 The highest temperature for any capacitor was around 60°C, so they are well within the safe operating temperature – these are rated for 100°C when the old ones were rated for 85°C. I would suppose the PSU is safe to use even for extended periods of time, as long as the vent holes are not blocked. I also measured the voltages delivered by the power supply under load. The results were 5.2V, 11.8V and -12.2V, so the -12V voltage was also in the correct range under load. In addition to the PSU being broken, the only other problem I noticed with this machine was that the left sound channel was silent. This was just a bad connection in the SCART connector, the wire was cut loose from the connector pin. The pins in this connector are crimped to the wire, and as just few of the signals on the SCART connector are connected, I just removed the old pin and an unused pin, crimped the unused pin to the wire, and put them back in swapped positions. 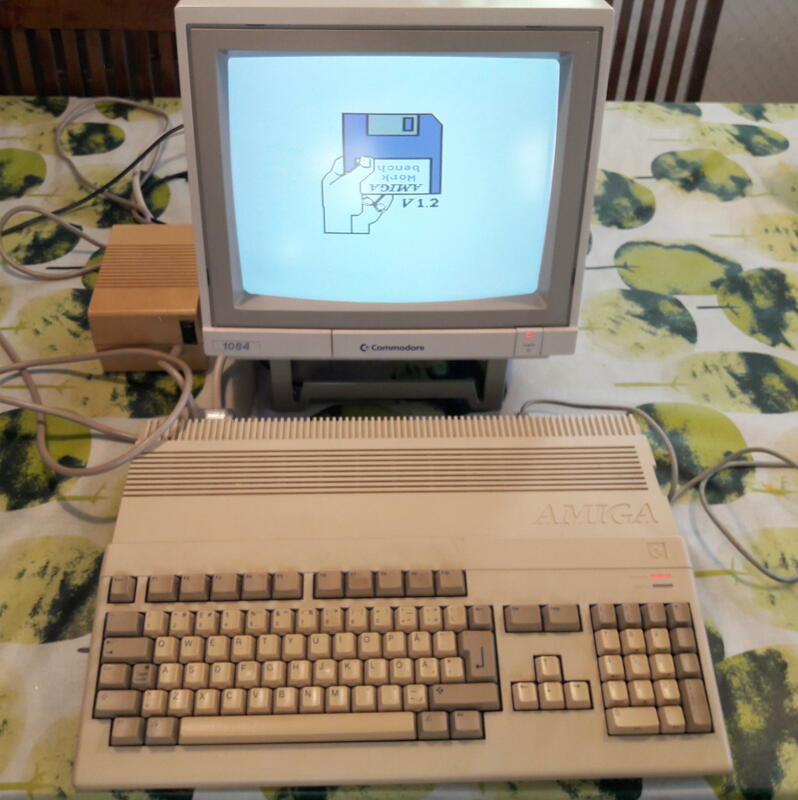 So now I have a fully functional vintage Amiga 500. Thanks again for the donation, Johan!